Remember when you used to live in the United States of America, a country based on the rule of law? Hillary Clinton panders to illegals who she obviously thinks should have greater rights that law abiding US citizens. Who would have ever imagined that the American people would tolerate an election being rigged by illegals who had no right to even be in the United States? That’s exactly what an apathetic America is doing. Ever wonder why billionaire business man Donald Trump is leading in the polls and blowing the establishment candidates away, especially the ones who pander to illegals? Maybe, just maybe it is because voters do not want illegals allowed in the country, especially two-thirds of Hispanics. Yes, you read that correctly. 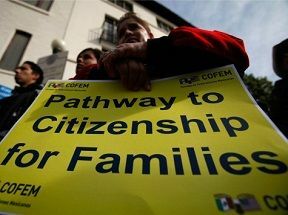 According to a recent Gallup poll, two out of three Hispanics oppose the establishment’s campaign to increase the annual inflow of migrants into the United States. The way the MSM and even establishment, pro-amnesty Republicans talk, you would think that 50% or more of Hispanics are in favor of increased legal immigration. 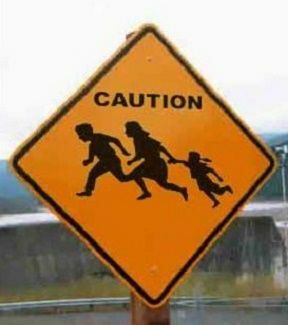 Two out of three Hispanics oppose the establishment’s campaign to increase the annual inflow of migrants into the United States., according to an Aug. 20 report by Gallup. That’s good news for Donald Trump, who has made pro-American immigration reform the centerpiece of his campaign. It is bad news for Jeb Bush, who claims he can boost the one-in-four Hispanic support for the GOP by inviting more foreign blue-collar and college-graduates to compete for the jobs sought by American Hispanics. Only 34 percent of U.S.-born Hispanics, and 33 percent of foreign-born Hispanics, want to increase legal immigration, said the Gallup report.